The uniqueness of team relay shines heavily on the beauty of teamwork and allows runners to race and bond with their teammates. A team of four can register in either all-Male, all-Female or the Mixed team categories, in two race distances – Full Marathon (42km) and Half Marathon (21km). While the idea of running 21km or 42km distance may seem daunting to most aspiring runners, the relay concept, however, offers the opportunity to bag their first marathon experience. Individual team members will need to complete 2 legs of 5.25km for Full Marathon, and 1 leg of 5.25km for Half Marathon to meet the total distance. The preceding member of the team will need to hand the relay token to next runner within the designated transition zone to delineate the changeover of runners. Unveil the night and soak up the atmosphere at the race precinct with fun-filled activities, entertainment and snack on tasty light bites. Vie for the top spot and embrace the moment of finishing and collecting your medals together, unite your team for a truly memorable night. Following the Kuala Lumpur leg of the ASICS Relay, we cross the causeway to Singapore for the third leg of the ASICS Relay. 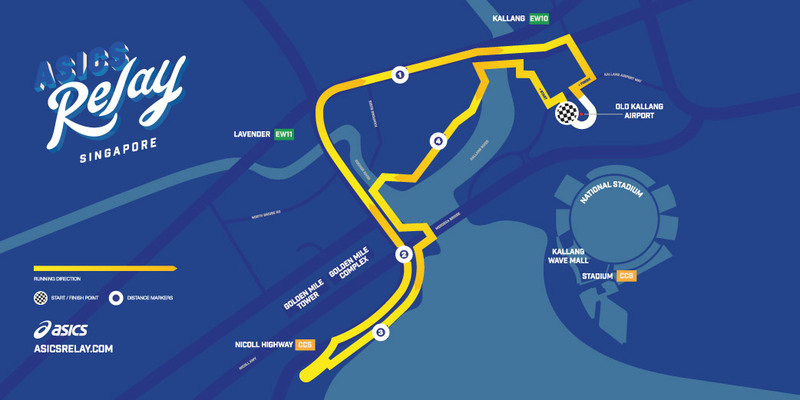 Famed as a “Garden City”, brace yourself for an epic race experience along the scenic Kallang River, passing iconic landmarks including the National Stadium. Runners can look forward to active updates of their teammate’s progress along the race course as they passed through key checkpoints and ready themselves for the changeover. Immerse in the race route entertainments as we dazzle you with lights, fun and motivational cheers from our delightful race marshals, this is definitely the race that you must join in 2017! To add to the competitive spirit of the ASICS Relay, awards will be given to teams (Male, Female & Mixed) that clock the fastest timing in each full marathon and half marathon race categories. 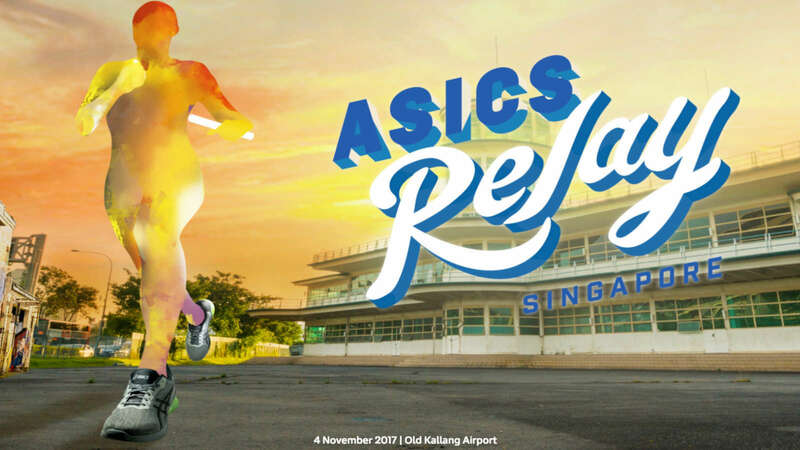 At the end of the ASICS Relay 2017 series, the fastest teams will win SGD $3,000 worth of travel vouchers each. Besides the exhilaration of winning the race, these champions will enjoy a well-deserved break with their teammates post-race! Note: all 4 team members must be from the same company and register using their company email. Any team/runner found not meeting the requirement may be disqualified. NOTE: All 4 team members must be registered students from the same school. Any team/runner found not meeting the requirement may be disqualified. Student pass / admin card must be shown at race entry collection. ID verification will strictly enforced. Mixed team must consist of at least 1 participant of the opposite gender. 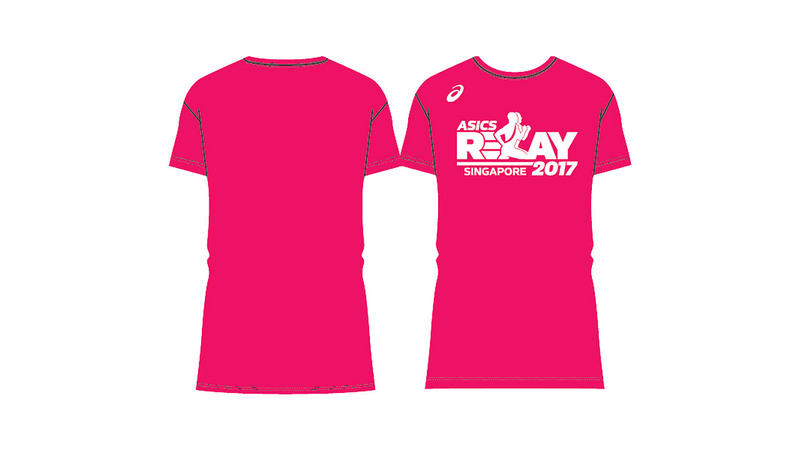 It is mandatory for all participants (except for overseas participants residing outside Singapore) to collect their Race Entry Pack (i.e. race tee, race bib, timing chip, goodie bag, etc) on the dates stated above. Race packs can only be collected as a pack of 4. Please coordinate with your members on the designated collector. Authorisation forms will not be needed. The Organiser reserves the right to refuse participants without the required documents from collecting their race entry packs. Late collection will not be entertained and the organiser will not be liable for any other loss or inconvenience caused, due to participants inability to collect their race entry packs. The Organiser is not liable to extend the collection period or timing to ensure that a Participant receives his or her race entry pack. If you are appointing someone else to collect the race pack on your behalf, please download the confirmation slip and sign the portion – Letter of Authorisation and pass it to the authorised person who is collecting on your behalf. For participants below 18 years of age (as of race day), please fill up the indemnity form and present it upon collection of your race pack. Lots of fun-filled activities for participants and supporters to enjoy throughout the entire race period, so sign up NOW to have a memorable night with your friends and family! There might be staggered cut-off times at selected sections of the roads for the safety of our runners. More details will be released closer to race day. How is the cost split amongst the team? The cost of full marathon or half marathon will be evenly split amongst 4 members.